"The world's first toothbrush in a bottle!" 6 benefits in one: Prevents & reduce plaque, treats & prevents gingivitis, instantly freshens breath, strengthens teeth by restoring enamel, helps prevent cavities, kills germs in hard-to reach places. Water additive with no flavor, odor or color. It does not disrupt your pet's drinking habits. 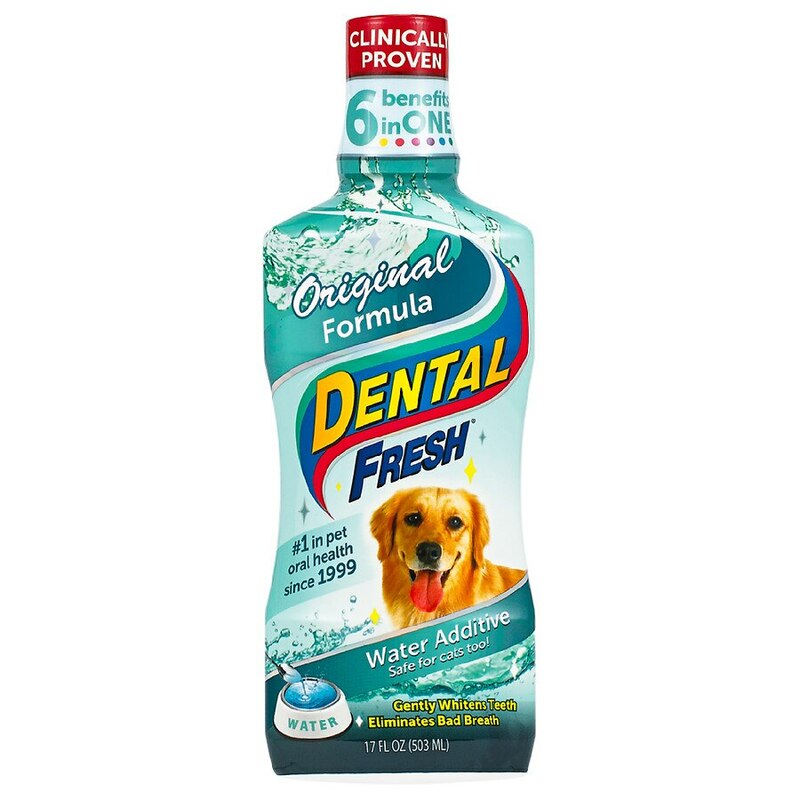 Add one teaspoon of Dental Fresh to every 8oz. of drinking water, or follow your veterinarian's directions. Safe for dogs and cats. Use daily for maximum effectiveness. ©SynergyLabs 2014, All rights reserved. Keep away from children, and domestic animals. In case of severe bad breath, see your veterinarian, as it may be a symptom of a more serious problem.